It was reported on BBC news this morning that the National Trust have temporarily taken over operation of the Big Brother house, and for 2 days only will be running public guided tours of the house that, for 13 years, has been home to rounds of contestants of the reality TV show. Inevitably, this has prompted many negative reactions: how could the National Trust, guardians of Britain’s most valuable heritage sites, descend to this? 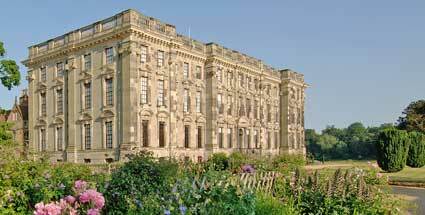 Is the house of a reality TV show of inherent value or meaning worthy of the National Trust stamp of approval? Isn’t it just a shallow PR stunt designed to market the National Trust as trendy and appealing to a younger audience? Well yes, there is clearly a PR exercise at work here, but it’s one that I have little objection to, either as publicity stunt – for that in itself gets people talking about heritage and value systems, which can be no bad thing – or for the grounds on which it markets the house as being of touristic value. Houses, of course, reach right to the heart of the idea of English identity. From the 18th century to the present day, the country house has been situated as a key national institution and one of the central images associated with “Englishness”: evoking the power of the landed classes through an image of leisured grandeur set within carefully sculpted landscapes, whilst carefully eliding the labour and Empire required to produce and sustain that wealth, the country house neatly symbolises much of England’s history. The country house tourism that we participate in today is no new phenomenon either: the practice of visiting houses began in the late 18th century as one of the first modes of intra-national tourism and, as it grew throughout the 19th century, formed one of the key practices that helped solidify and, literally, locate an emergent sense of national identity. The continued popularity of country house tourism attests to the strength of discourses forged through this practice, the country house remaining a resonant location of cultural value, worthy of its heritage status and the national investment to protect it. So it’s easy to see why the inclusion of the Big Brother house into this genre might cause some debate. The TV series marked the start of a reality turn in popular culture that is, by definition, both mundane and insidious in its attention to the details of the everyday lives on display. To many, it symbolises much of what is wrong with contemporary popular culture. Such a house also begs the obvious question about the appeal of visiting a house that has been displayed in such minute detail by cameras permeating every space; what is there left to see? If houses represent the location of national culture, then the Big Brother house is arguably the most resonant site of British culture in the last ten years. When Big Brother first appeared on our TV screens 13 years ago it seemed to signal not just a new era of reality TV, but of privacy and intrusion too: “Big Brother is watching you” hit a cultural nerve, coinciding with, and perhaps at that time pre-empting, debates around an increasing surveillance culture (indeed, “Big Brother culture”) that have become particularly resonant over the last few years. While it was the TV series’ presentation of “reality” that initiated many of these debates, it is the material house itself that stands as the manifestation of these concepts, its physical structure permeated by modes of surveillance and spaces in which self-narratives – the lifeblood of reality TV – are encouraged to emerge (the “diary room”, for example). As the phase “Big Brother is watching you” also reminds us, it’s a space that invokes British cultural tradition; while the show’s derivation from 1984 remains tangential in its final formation and the idea of “Big Brother culture” was widely resonant before the TV show, it is arguably the TV series that has served to re-invoke Orwellian concepts as widely identifiable and understandable to new audiences, reinstating the text as an active part of contemporary cultural memory. It’s worth remembering, too, that we can’t be too precious about the perceived cultural value of country house tourism. Much of the contemporary interest in national house visiting has been invigorated by TV reinterpretations of the nineteenth century that take the country house as a central symbol: from the Austen adaptations of the 1980s and ’90s to Downton Abbey in more recent years, the house has been central in the visual evocation of nineteenth-century England, and this in turn has helped foster the continued interest in National Trust and English Heritage sites. 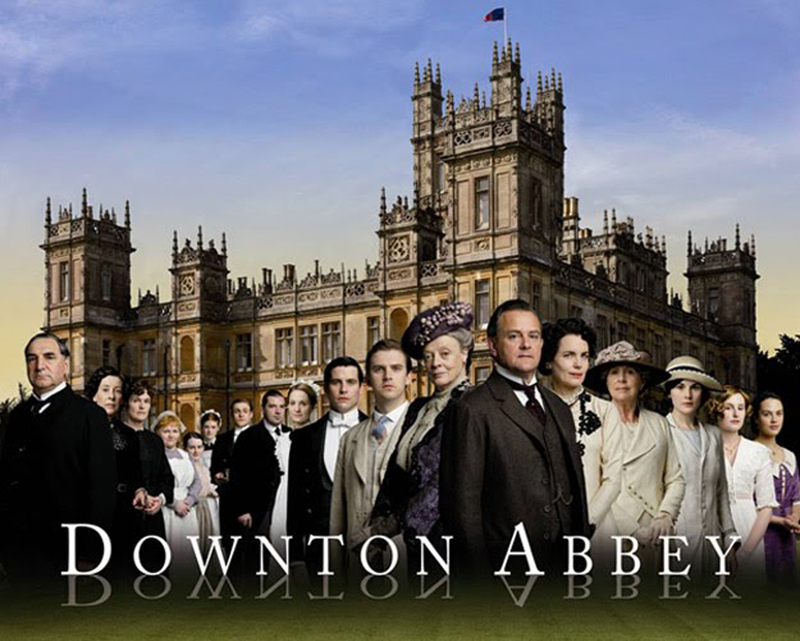 The popularity of heritage houses is as much a collision of different cultural forms and inscriptions of cultural meaning, a meeting-point of popular and traditional, literary and TV culture. So too does the Big Brother house remind us that these sites also market themselves via the commodification of visitor experience: if the Big Brother house makes quite explicit the question of “what would one gain from being in, experiencing the house for oneself?”, this question might just as easily be put to the viewing of country houses, where the idea of being a participant in history is key to the marketable appeal. I won’t lie, reality TV isn’t my thing and I wasn’t queuing up to get tickets to the Big Brother house. But I am pleased that the National Trust have done this, for if nothing else it serves as a useful site of cultural debate for thinking about the meaning of heritage, national identity and cultural value, and reassessing the sites that remain meaningful locations of heritage today. Following my previous post about the Rethinking the 19th Century conference at Sheffield in August, I’ve written a follow-up piece about the use of Victorian/19th century for the Journal of Victorian Culture online. Also, all of my JVC online pieces are collected here and updated with my latest piece every month or so.